An Apple ID is fundamental to accessing all forms of services by the developer. Whether it is an iPhone, iPod, or iPad among other iOS devices, you need these details to log in. The device will always prompt before you make any move. In fact, you might not be able to unlock a phone if you lose these details. It is a frustrating experience when you forget the password linked to your Apple account. While it will be inconveniencing, try not to freak out, it is common. The good news is you can remove or reset the password or Apple ID if you lost Apple ID password on iPhone and continue using your device. If you lost Apple ID password on iPhone, you will need to find back the account information so you can continue to use it and enjoy the features of iOS. What if you could not find back your Apple ID or the password of it? Don’t worry, here’s the solution for you. iMyFone LockWiper is here for you. It can help you remove the Apple ID password directly without any hassle. In all of these scenarios, you need to remove the Apple ID. An easy way to do it is using iMyFone LockWiper for a quick reset. 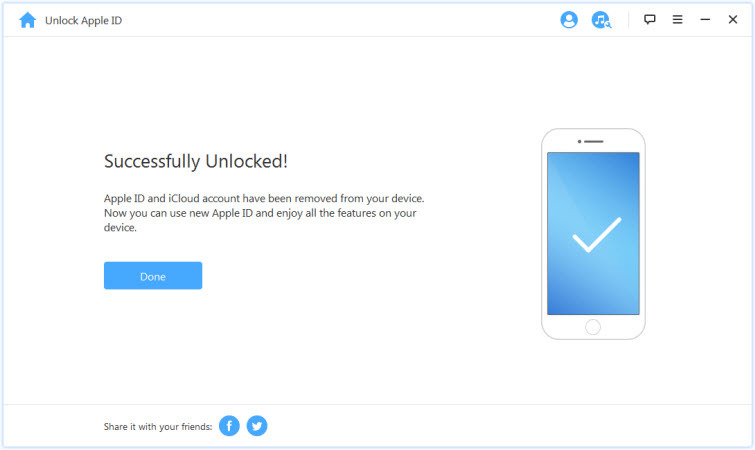 The third party software will help you remove the existing Apple ID in few simple steps. 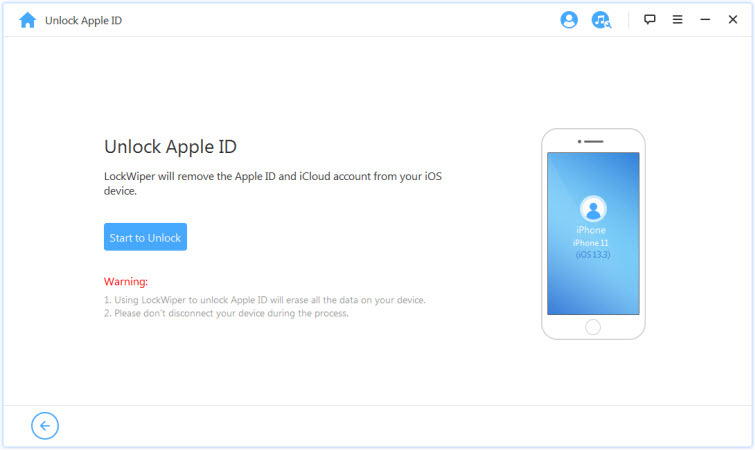 Removes Apple ID without password in all iDevices of all iOS versions. After the removal, you can enjoy all the iOS features and services again. 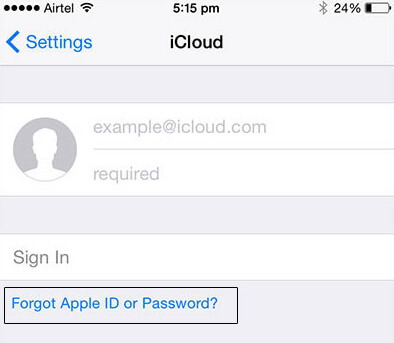 It can help you unlock Apple ID/iCloud account no matter “Find my iPhone” is on or off. It’s easy to use without any skills needed and its 100% secure. Step 1. Launch iMyFone LockWiper and choose the “Unlock Apple ID” mode. Step 2. Connect the iPhone to Mac/Windows PC using a USB cable. Click on “Start to Unlock” to begin the process. Step 3. Wait for the process to run. Watch on the progress bar below the page. Note: If your Find My iPhone is turned on, please set up first following the instruction on the program. Step 4. 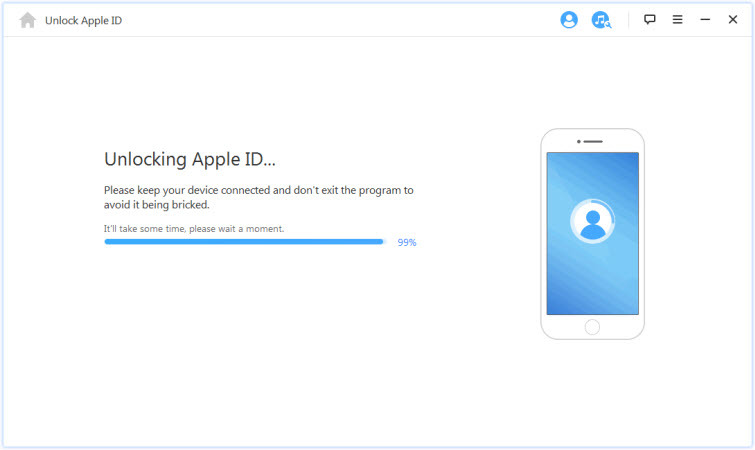 After the process finish, your Apple ID will be removed successfully. Note: Your Apple ID will be off with click of the confirm button. No waiting. However, please note that you should have your device activated before you use the program or it will not support your devices. To access most applications and key Apple services, you need to log in to your Apple account. This won’t be possible if you have forgotten your password. While in some platforms it can be easy as setting recovery through an associated email address, it is different on iOS. You might be stranded for the first few hours but you need to calm down and make use of the manufacturer provided channels to access your iPhone. Forgetting the password to your Apple account is not the end of your iPhone. Step 2: Click on “iCloud” at the bottom of the list. Step 4: Either key in your email address and click on “Next” if you have forgot your password only or click on “Forgot your Apple ID?” and provide your full name details and new email address. This is if you have forgotten both Apple ID and password. Step 5: Continue with onscreen directions. Answer all security questions required. Step 6: You will be ready to reset your Apple ID password. One of the options to resetting Apple ID password is through the Apple official website. In fact, it is the most reliable technique if you are having difficulty accessing your iPhone or any iOS device. Forgetting is not strange, it happens to most people. In the digital world, we have to log in to multiple devices and services every day with different passwords, it is easy to be confused and completely lost Apple ID password. Also, the fact that you don’t log in to your Apple account daily makes it easy to forget the log in details. The Apple support system provides you an easy way to recover your iPhone data by bypassing the restrictions. Setting up through the Apple web involves simple steps. Step 1: Launch any web browser and go to iforgot.apple.com. Step 2: Find the “Enter email address” space and enter your details. Step 3: Click on “Continue”. Step 4: Enter phone number linked to your Apple account and click on “Continue”. Step 5: Select an iPhone as one of devices associated with the iCloud account. Tap on “Allow”. Step 6: Enter passcode and click on “Done”. Step 7: Enter new Apple ID password. Step 8: Click on verify to re-enter the password. Click on “Next” then “Done”. Whether your screen is broken or face ID won’t function, you don’t have to freak out. There are various options to make sure you can access Apple services and your data. Software and manual methods are all effective; it all depends with condition of your phone and needs. If you want to reset Apple ID password, you can simply follow steps in the general settings. However, if you want to completely remove the Apple ID without password when you lost Apple ID password on iPhone, you need iMyFone LockWipe, the third-party software is reliable and quick.